If you damage a tooth or develop a cavity, we can repair your tooth and save your smile with a dental restoration. Modern restorations can be done quickly and with minimal pain, using composite materials that are extremely strong and coloured to naturally blend in with the rest of your teeth. 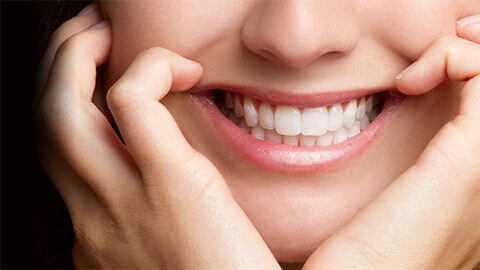 Gage Park Dental offers a full range of dental restoration services to keep you smiling. If decay penetrates the enamel of a tooth, a cavity is formed. Left untreated, cavities can grow larger and penetrate to the pulp of your tooth, possibly causing infection. We fill cavities with composite materials to restore your tooth and prevent further damage and decay. 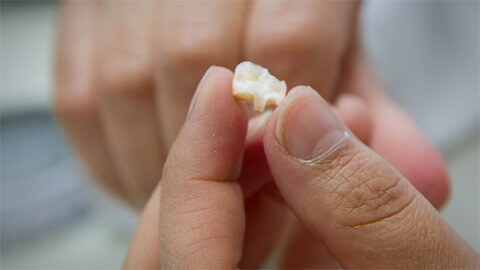 A crown is a synthetic tooth that is shaped and coloured to look like a natural tooth. Crowns are used to replace lost teeth or restore broken or cracked teeth. They are very strong and can restore your biting strength. Inlays can be used as an alternative to fillings for teeth that have been damaged by decay. To create an inlay we take an impression of your tooth and use it to make the inlay in a lab. The inlay is placed into your tooth, and cemented in place. Onlays are identical to inlays, except they are used to restore the cusps, which are the biting surfaces of your teeth. They are very strong to retain the tooth’s biting strength. If you lose a single tooth, or two teeth in a row, we may recommend a bridge as a restoration. A bridge consists of one or more artificial teeth that are bonded to the teeth adjacent to the gap. Bridges are shaped and colour-matched to blend with your natural smile. If you think you need a filling, or if you’ve lost, broken or cracked a tooth and would like it restored, give our office a call to book an appointment.